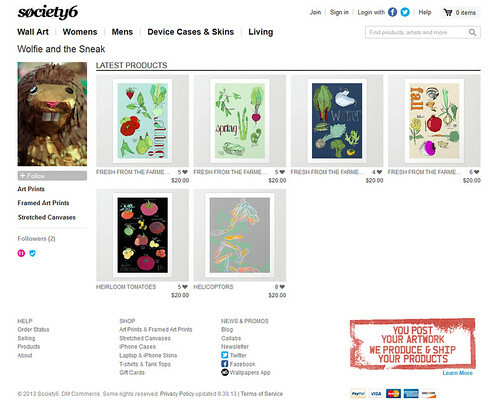 In all my pondering, wishy washy back and forthing, I've decided to upload old favorite prints to Society6. I mean I miss them, so there's that. This way I don't do all the printing, and Society6 even offers larger sizes than I can! I'm actually tempted to order a few ID posters in the XL size just so I can see how they look! I don't have everything up yet, but I do have a few, and will add more as I find time (which is infrequent...) Right now, through October 23, Society6 is offering free shipping for my wares. Keep an eye out. I might even break out the really old stuff!